I am quite a curious fellow! 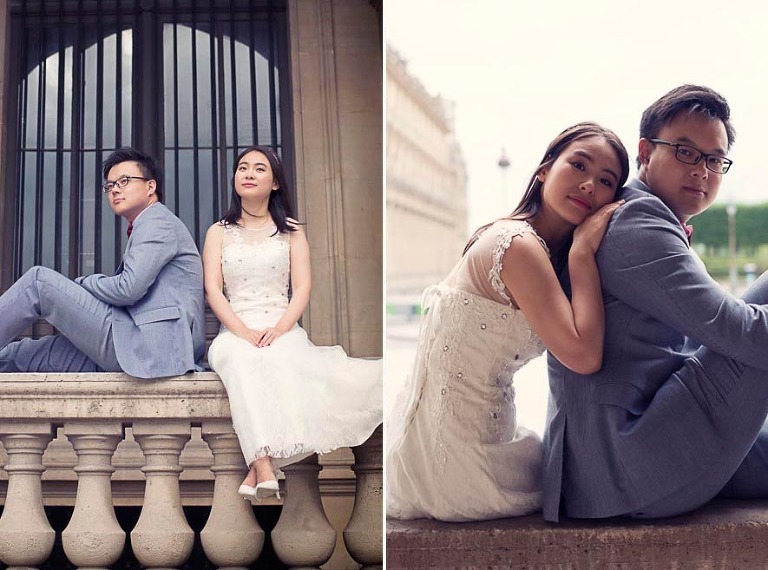 When you meet a couple of young professionals who fly to Paris for their engagement photo session all the way from Beijing you want to know how did that idea come along! So I found out that they met at medical school, had both graduated in the past year. 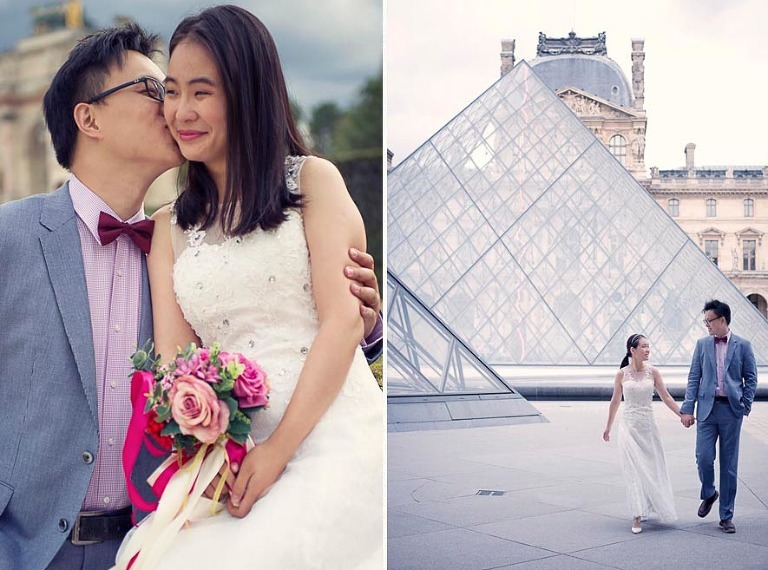 Sandy works as a pediatrician and john as a young brain surgeon in a public hospital in Beijing. 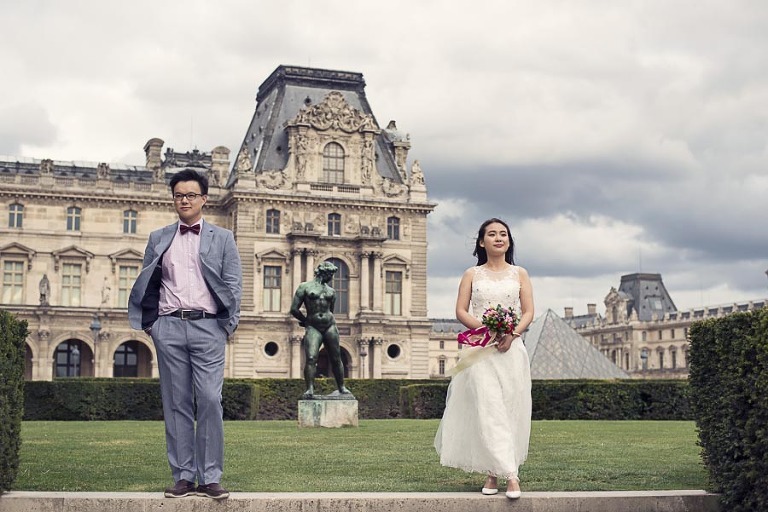 Like a lot of their fellow countrymen, they dream of Paris as a destination for lovers. So naturally when John proposed, Sandy mentioned a trip to Paris almost instantly! What can you say really when you are in love. So we went around town for a photo tour of the city for a few hours, stopped over at a local cafe for a little break so that Sandy could change her dress to a wedding gown. 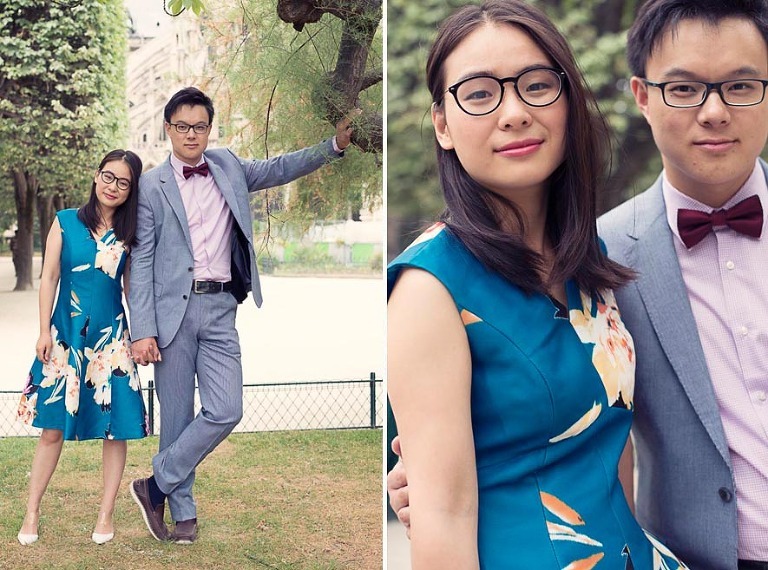 They flew back to China and will show their engagement portrait album to friends and family at their wedding reception. What a great idea really. 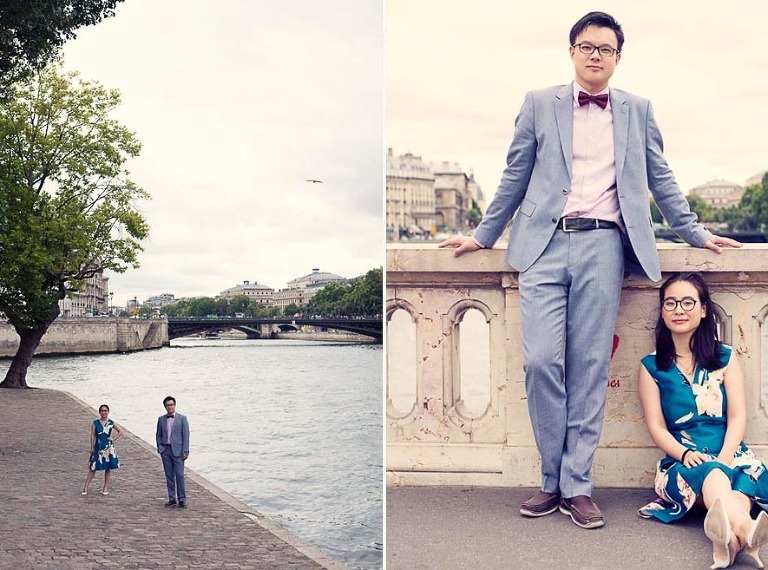 If you are looking for ideas for your engagement photo session in Paris you could look at another of our engagement photo tour that we did recently with other clients from Hog Kong this time. And if you Love our work? We’d love to hear from you!